The airline will operate flights to Bengaluru, Chennai, Amritsar, Bhubaneshwar, Raipur, Srinagar, Bagdogra, Udaipur,Vadodara and Vishakhapatnam from T2 of the Indira Gandhi International Airport. These flights will be numbered from 6E 2000 to 6E 2999. IndiGo is reaching out to all affected passengers and their respective travel agents via SMS and calls. New Delhi: Budget carrier IndiGo will partially shift operations from Terminal 1 to the revamped Terminal 2 (T2) of the IGI airport here from March 25, after losing a court battle on the issue. As per the recent order of the Supreme Court, both IndiGo and SpiceJet had submitted lists of sectors to GMR-led Delhi International Airport Ltd (DIAL) for shifting to T2 and the DIAL has given its consent to the proposal, a statement issued today said. While GoAir had decided to shift operations to T2 in October 2017, SpiceJet and Indigo decided to follow suit last month for partial shifting after the Supreme Court dismissed IndiGo's plea challenging a Delhi High Court order on shifting operations from Terminal (T1) to T2. Yesterday, SpiceJet had announced shifting 22 flights to T2 with destinations to seven cities from March 25. The shifting, however, is a temporary move to ease the pressure of fast growing traffic at T1. The move will enable the expansion works at T1 effectively, the DIAL statement said. T1 is set to be expanded from the current capacity of 20 million to 40 million passengers per annum. 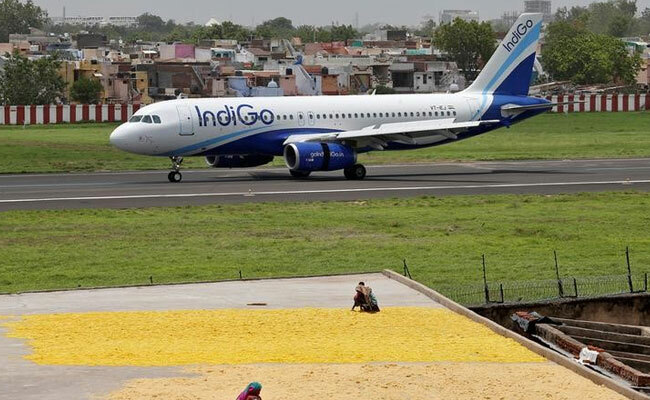 The IndiGo, in a release said, it is reaching out to all affected passengers and their respective travel agents via SMS, calls, and e-mails provided in reservation. The airline also said in the event of an IndiGo passenger missing the flight due to the change in terminal, it will rebook the flight at no extra charge. A social media campaign has also been launched by the DIAL to generate awareness among passengers about shifting of the flights. Passengers can get all the required information regarding T2 by using #ShiftingToT2. It has identified a number of aircraft parking bays, airline office space and related facilities from seamless operation from T2. The terminal has many key features to provide hassle free experience to flyers including adequate check-in counters, X-ray machines, baggage reclaim belts and aerobridges. With the partial shift of operations of SpiceJet and IndiGo to T2, passenger area for the flyers will increase from 25,917 sqm at T1 to combined 62,010 sqm. T2 adds additional 36,093 sqm passenger area.